The Missionaries of Africa were founded 150 years ago for the Evangelization of Africa. They continue today to remain faithful to their call to share the life and mission of Jesus, and to give witness to the Gospel in Africa and among Africans wherever they may be. In the District of Columbia, USA, the Society of the Missionaries of Africa is a non-profit corporation. Helping to alleviate the poverty and deprivation that are still widespread in Africa by funding projects that foster self-reliance and human dignity. Raising the awareness of the plight of the African people through Mission education and various publications. Providing up-to-date information relating to justice and peace issues that concern the countries in Africa where we live and work. Working with Africans on structural changes that will help build the Reign of God and thereby helping them to become agents of their own liberation. Helping to bring about healing and reconciliation. Being bridge-builders to help promote inter-religious and inter-cultural dialogue. 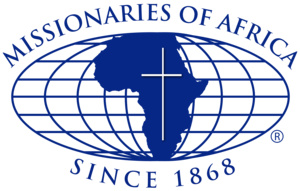 The Society of Missionaries of Africa accomplishes its Mission Purpose through parish ministry, teaching, community prayer, advocacy various spiritual and educational publications, membership in D.C. based organizations that get involved in African affairs and concerns, and work for a more just U.S policies towards Africa and collaboration with other Missionary Institutes. The Society of Missionaries of Africa also furthers its Mission Purpose by providing the people of God in America with the opportunity to offer spiritual and financial support for their religious, social, educational and charitable works and co-workers in Africa.